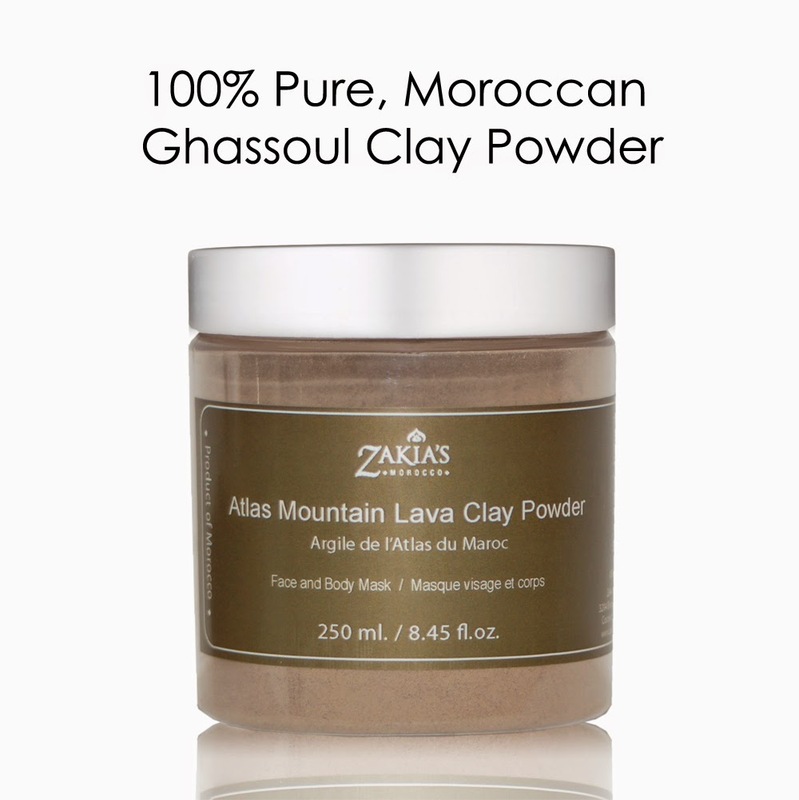 The Moroccan Ghassoul Clay Mask is a fantastic all natural treat for both your skin and hair. This weekly mask is made using only organic ghassoul clay that comes straight from the mountains of Morocco. My teen daughter and I decided to have a spa day and tried out the mask on both our face and hair. The mask comes in a powder form. Simply add a little water until the clay is a good consistency. Then you can smooth it along your face or add some to your hair using your fingers. You can even use it as a full body mask if you have the time. My daughter and I just did our face and hair, and the results were remarkable. It mixed very easily and we only needed a few spoonfuls for both of us. Once it was mixed, we applied it to our face and left it on for about fifteen minutes. This was a real "mud" mask. Our faces were completely brown, and it even made our hair darker. I could feel the clay hardening the longer I had it on, and I worried it might be hard to remove, but my face came clean with water and it rinsed easily from our hair with a little shampoo. The results of the mask were fantastic. My skin has never felt softer, plus my skin tone seemed brighter and healthier. I'm sure with extended use, it will even combat wrinkles. For my teenage daughter the results were even better. Pimples started to clear up a lot faster after deep cleansing with this mask. And our hair! It added both shine and volume. My color treated hair hasn't looked this great in years. Overall, we were thrilled with this mask and will definitely be using it again. If you'd like to learn more about Zakia's Morocco and all the products they offer, be sure to visit their website or follow them via social media. 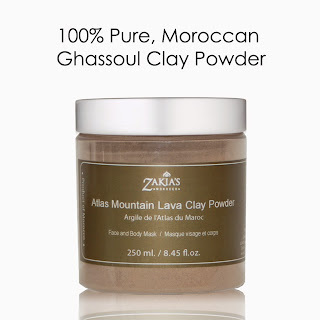 To try out the Moroccan Ghassoul Clay Mask for themselves. Please note this contest is being run & sponsored by Zakia's Morocco. If you will out this form, they will have access to your personal information. New Age Mama is not responsible for selecting winners or sending out the prize. Oh my gosh I would absolutely love to try this!